A leading brand from Serta, a name recognized for over 80 years, iComfort is well-known in the mattress world. Here you’ll find out if it matches up to its name. Novaform offers innovative memory foam mattresses noted for their pain and pressure point relief potential. See how these compare and what has the most potential in this review. Serta, established in 1933, is the leading mattress manufacturer in the country and one of the top names in the world. It offers the advantage of name recognition. There are also numerous mattresses to choose from. 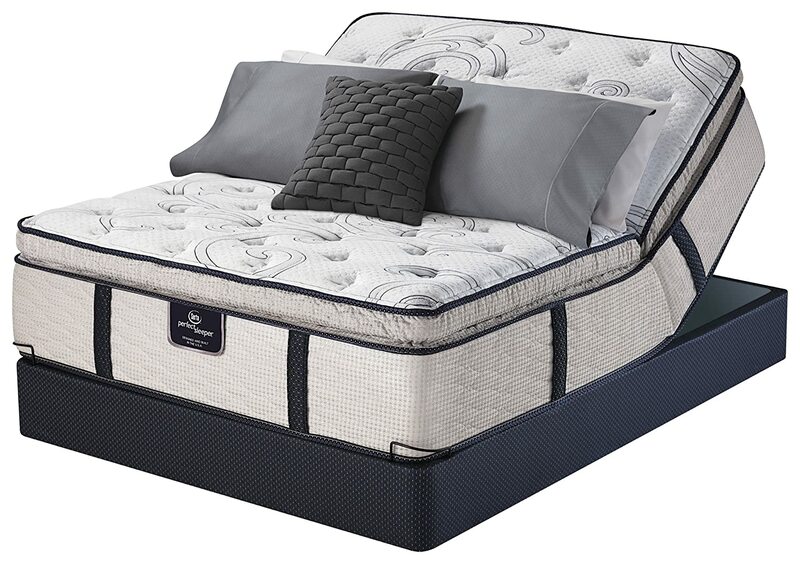 With the iComfort collection, you get the latest in gel memory foam technology, according to the website. The company doesn’t really do much to explain its specifications. There is an interactive brochure with lots of bullet points, percentages, and generalizations. It also provides visibility into all the models available. Also, you can get a free DVD with a brochure and sample foam. As far as customer satisfaction, iComfort does okay. There are many models each providing a specific comfort level. A 120-day trial enables you to figure out if the mattress is right once it is broken in. The product does a good job at conforming to the body and easing back pain, according to consumer reports. You can buy a Queen set of the Insight EverFeel for as little as $1,299, while the Epic model in this series runs up to $2,999. Each series has a different combination of foam layers atop a six inch base layer. These include regular foam, memory foam, gel memory foam, and supporting foam materials. The thicker and more dense the foam, the more you will spend although pricier brands do exist. Other advantages include low incidences of off gassing. With iComfort mattresses, you also get good motion isolation so comfortable sleep is possible even with a fidgety partner. There is good edge support as well and little noise. People of average size are the most satisfied according to reports from a study by SLTD. With every mattress, there are cons. Customers say the most about specifications not being well-communicated. Sometimes mattresses arrive in smaller dimensions than advertised. These are by no means issues most of the time, but things to look out for. In some cases, the base layer is not supportive enough. Heat retention can be an issue as well. In fact the company’s gel-infused memory foam does better at limiting heat buildup, but this foam in general is capable of retaining heat. Firmness is often unpredictable. It can be different from when you check out the store model to when the mattress arrives. Either owners get used to it or return the product. You do, however, have lots of firmness options and little maintenance to look forward to. Novaform: Does It Surpass the Mattress Leader? Novaform promises ultimate comfort and support on its website. The parent company is Sleep Innovations. It has researched new designs and technologies along with mattress materials. On the website, there’s information about the brands, the gel-memory foam used, and even tips on sleeping. There are a few products to choose from and the site indicates the feel and conformity level of each. Most moderately conform to the body. Owners often point to pressure point relief although some feel more pressure due to the firmness. Back sleepers have said Novaform works quite well for them. It has also proven satisfactory for stomach sleepers as well. Other perks include good motion isolation, which is typical of memory foam, and no noise when you lie on it. This brand consists of infused gel beads in the SureTemp memory foam. These beads work with body temperature to create a balance of coolness, according to the company. In addition to support, the gel memory foam allows air to circulate through cells in the foam, providing comfort during any season. The Dream Away eight inch mattress offers 1.5 inches of memory foam plus support and base foam layers. It starts at $337 for a Queen. Best support is for average-sized adults/children. The most popular model is the Sure Temp 12 inch. It goes for $471 for a Queen and has 2.5 inches of 3 lbs/ft memory foam. The base foam is 9.5 inches thick. Other models include a 12 inch gel, the Sure Temp 14 inch, and the Serafina 14 inch Gel, a firm mattress that might be too so for some side sleepers. The Novaform 14” Comfort Grande is a firm, heavy mattress that gets a high satisfaction rate. Novaform’s softest model is the Valentina, going for $750 for a Queen size. It’s a 12 inch mattress suitable for all sleeping positions. Value is the most noted attribute. For an entry model at the smallest size, you can spend just $215. Many owners choose to use the mattress occasionally or on a temporary basis, but a majority still use their model regularly. Each mattress comes compressed and vacuum sealed. Delivery and unpacking, therefore, are somewhat simplified. The company even includes unpacking instructions on its website. Novaform mattresses do not include foundations. These can cost as much as $400 extra. People also report an odor when they start using the mattress. The amount of time and strength of the odor varies on a case by case basis. Also expect a longer than average break in time. Warrantees vary depending on the model. Some are five years, others are up to 20. Longevity is about average but making a claim for a warranty can be challenging. Novaform also tends to be quite firm, which can be problematic if you are primarily a side sleeper. Resistance to movement is moderate when compared to memory foam overall. If you’re looking to invest in a proven brand, reputed for pain and pressure point relief, iComfort is the right choice. Novaform, on the other hand, offers value and savings for firm gel memory foam mattresses in a choice of models.